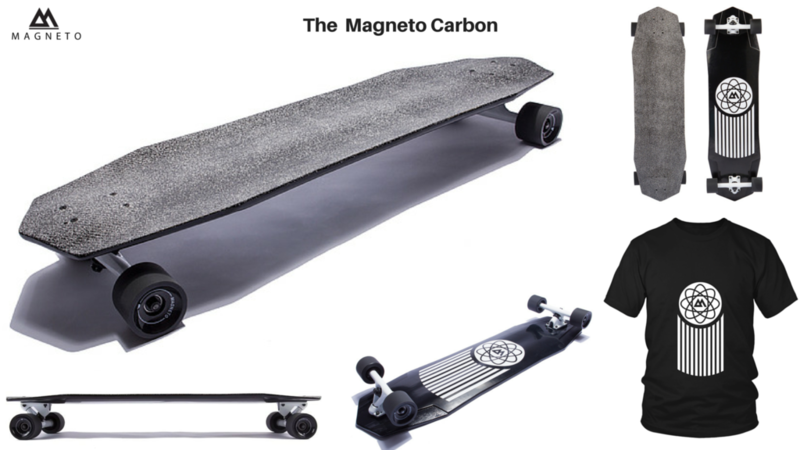 Longboarding: 3 Reasons that make Carbon Fiber Longboards great! Carbon fiber has, for many reasons, been one of the most luxurious materials out on the market, and for good reason. Not only does it look cool, it actually has a bunch of really good uses for construction too! That’s why they use it for applications like sports cars, military helicopter propellers, and even things like thousand-dollar wristwatches and pens. “What are the things that make carbon fiber so good for longboards?”. Carbon fiber longboards are made of pure carbon and some epoxy. This makes for an extremely strong material, since both of these materials are revered to be some of the most expensive, and strong materials available to the common consumer. Elemental carbon is extremely strong in terms of tensile strength. That means that if you took a hair-shaped piece of carbon fiber and tugged on it, it would be able to carry a lot of weight! In fact, a laboratory-manufactured carbon nanotube can actually carry more weight than ten times its amount in steel, which is pretty incredible. As we speak, scientists in labs are scurrying to find good ways to apply them into space travel, which is pretty amazing. Because elemental carbon strands are already so strong, weaving them into a fabric makes them exponentially stronger on top of that. Think of a cloth. If you took a thread, you can just pull hard enough, and it will snap. Not very strong, and if you suspended enough weight on the end of it, at some point, it will break and the weight will fall. However, if you took many of those strands and wove them together into a tight mesh and hung the weight by the corners of the fabric, the weight most likely wouldn’t fall down. Stretch, yes, but it wouldn’t fall down. The reason that it stretches is because the strands are able to shift against each other since they’re not really held together by a solid medium. Which brings us to the epoxy. Epoxy is a sticky substance that when cured, creates a very hard, almost glassy plastic-like material. Sometimes it’s called cement, because it is so strong. Epoxy is both lightweight and usually transparent, so it’s very good to be using for carbon fiber applications. As said before, regular fabrics don’t really hold solidly; rather, they shift around because they lack a solid bond to each to stop them from shifting in position. This is what the epoxy does to the carbon fiber. After the flexible sheets of carbon fiber are laid down in the correct configuration, engineers usually brush and saturate the fibers with a thick layer of epoxy. Not only does this keep the fibers on the surface, it also solidifies the fibers into their desired shape. Together, carbon fiber is one of the strongest materials on the market. Carbon fiber, for its weight, is an extremely strong material. A few layers of carbon fiber that is about as thick as a coin for example, is enough to make a flexible longboard deck completely solid. No more flex. For this reason, longboard manufacturers use it to make incredibly stiff speed decks while keeping it extremely light. A very popular combination in terms of building materials is bamboo and carbon fiber, or sometimes even balsa wood and honeycomb structures in extreme cases, but these extreme cases cost well over six hundred dollars. The more affordable and practical bamboo carbon fiber hybrid is extremely versatile because of how much it capitalizes on reducing weight with very affordable and accessible materials. Bamboo by itself is a very versatile material. When it is laid down as a veneer from side to side, it’s a decently flexible material and it’s used for very uniform-feeling flex decks that people use for dancing and such. Add some carbon fibre to this, and not only is it extremely light, but it is also stiff. Sometimes, there will be a welcoming dampening flex to some of these boards, and trust me; they’re wonderful. Sometimes, manufacturers will vertically laminate the bamboo so that the grain is going upwards and downwards. This creates a truly rock-hard board that’s good for literally everything fast and slidey. Carbon fiber is so gosh-darn resilient that logically it barely even makes sense! Online, you see those carbon fiber street skateboards, and after doing grids and board slides, they sometimes come out and they’re barely scratched, and even less structurally damaged. This is a problem with longboards sometimes; the rocks and stones that you run over while you’re speeding down a hill sometimes ding up the bottom of your deck, and it’s true, it’s annoying sometimes. I know I had a deck at one point that I took down a run when it was brand new, and when I got to the bottom, the graphic had a huge chunk taken out of it, replaced by a streak of white stone residue. Carbon fiber however, doesn’t really do this, since the epoxy is really the only thing getting damaged. All you need is a brush and some more epoxy, and you’ve got a brand new board. Pretty nifty. Carbon fiber Longboards will always be up there as a superior technology longboard and a superior material. It’s even better when you can ride it. Always wear a helmet! Ryan from Magneto Longboards.